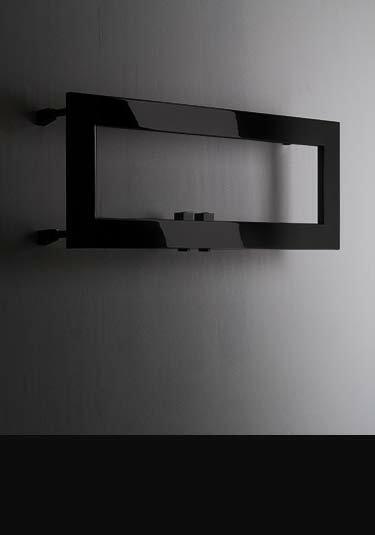 This ultra-modern wall mounted black chrome towel rail is a great space saver thanks to its horizontal rectangular shape. 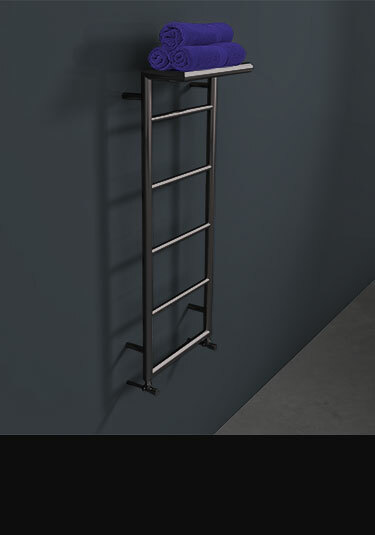 This stylish modern towel rail is available in brushed or polished black chrome. Another Livinghouse exclusive. 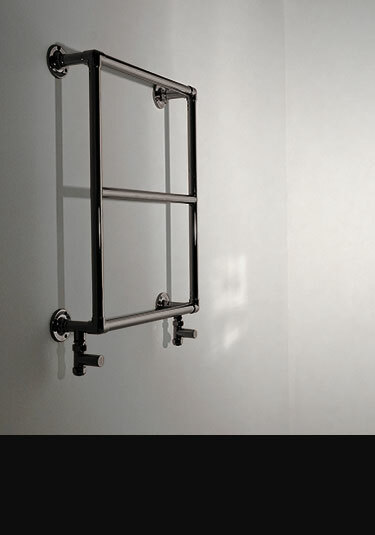 This black chrome towel rail has large cubic-style bars for an impressive and practical design. 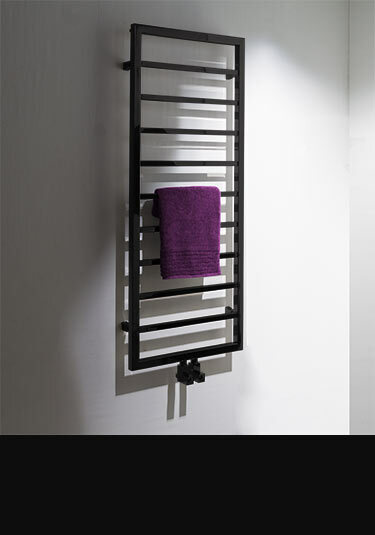 A unique brushed or polished black chrome heated towel rail with large horizontal bars. Manufactured in Europe from high quality stainless steel and luxury black chrome plating. This black chrome heated towel rail has simple, modern straight-line styling with mitred corners at the top and bottom. Available in brushed or polished black chrome. 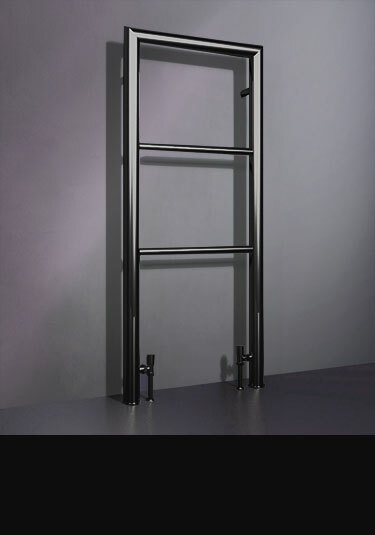 Stylish modern heated towel rail in exclusive black chrome finish. With its unique hat stand styling this designer heated towel warmer is a stylish addition to contemporary luxury bathrooms. Designed and made in Britain. 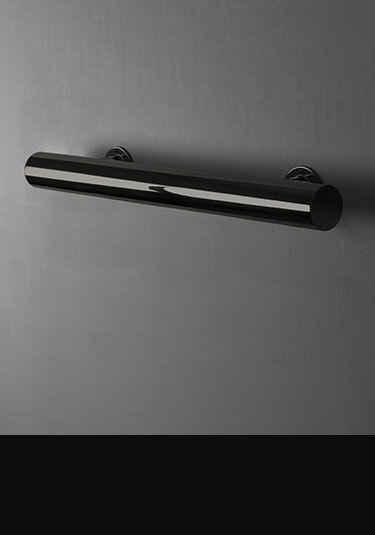 Black chrome plated brushed bathroom towel warmer made from high quality stainless steel. 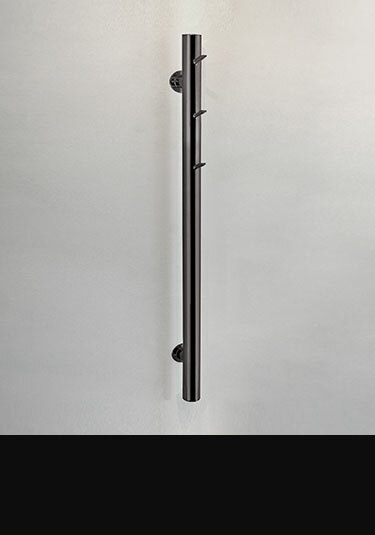 Exclusive contemporary black radiator design with stylish square tubing. 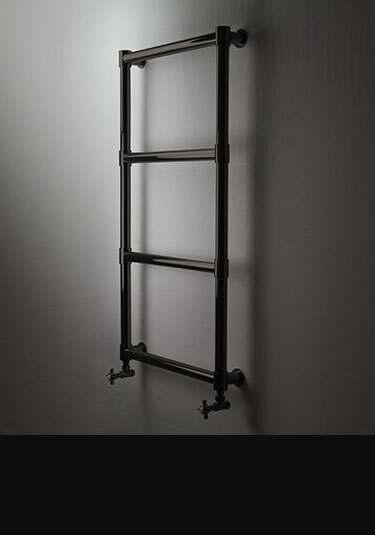 A traditional ball jointed towel rail in stylish modern black chrome finish. An exclusive design with unique side fitting feature that appears almost freestanding. Made in Britain. 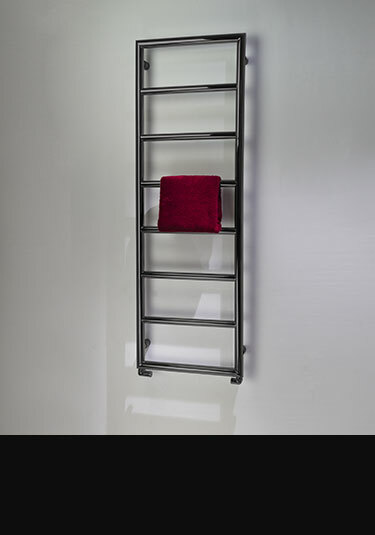 This simple heated hot tube bathroom towel rail has a black chrome plated finish. 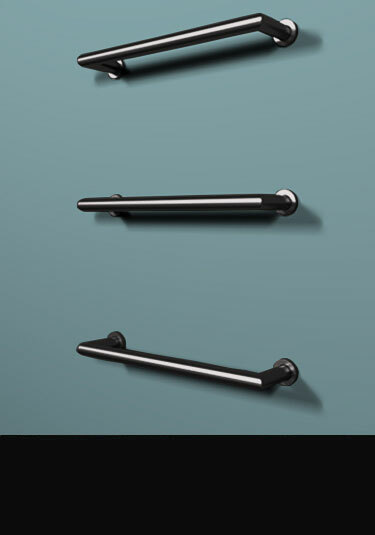 This heated towel bar is a lovely design feature for modern bathrooms. 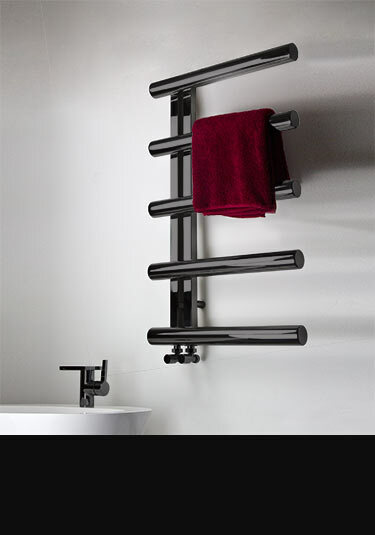 Each black chrome towel warmer can be supplied for central heating or electric systems in various tube lengths. Black chrome radiator with an exclusive floating bars design. Available in 3 sizes. 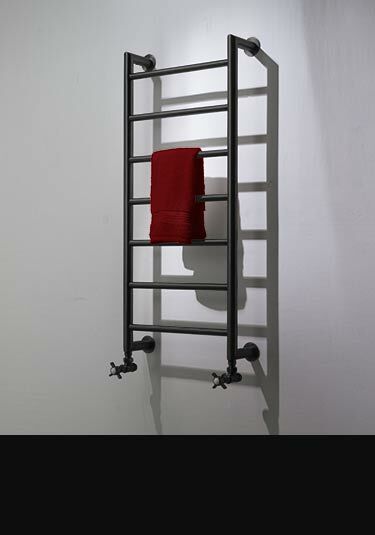 Based on a traditional radiator shape, this heated towel rail has a black chrome finish for a modern twist. 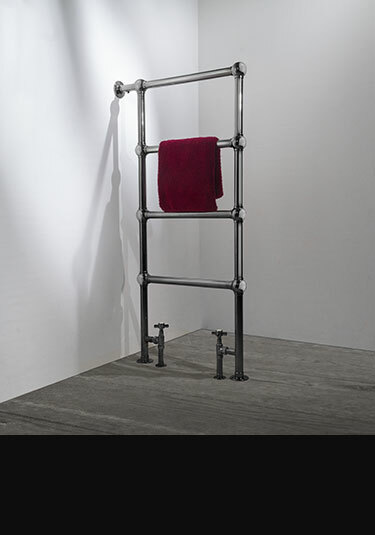 Made in Britain, this towel rail has a high quality stainless steel body with a with a black chrome plated finish. 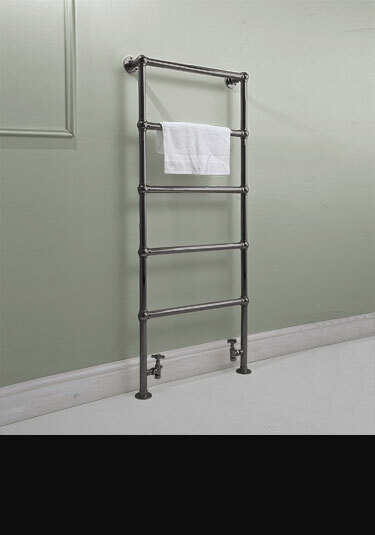 This black chrome towel rail is another Livinghouse exclusive. Made of superior stainless steel, with a hard-wearing black chrome finish. Supplied for central heating, electric or dual fuel systems. 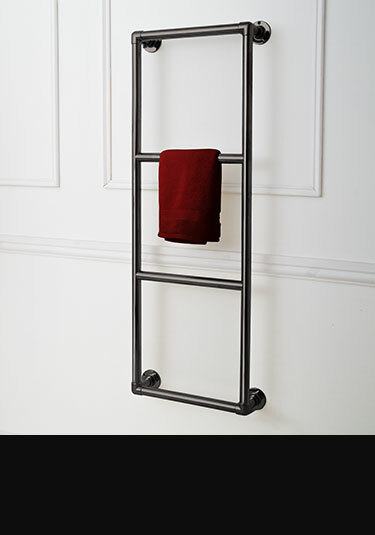 Stylish wall mounted towel radiator with top towel rack for towels allows stylish contemporary towel hanging with handy towel storage. Available for all heating systems and made in brass for corrosion free longevity with a chrome plated finish. 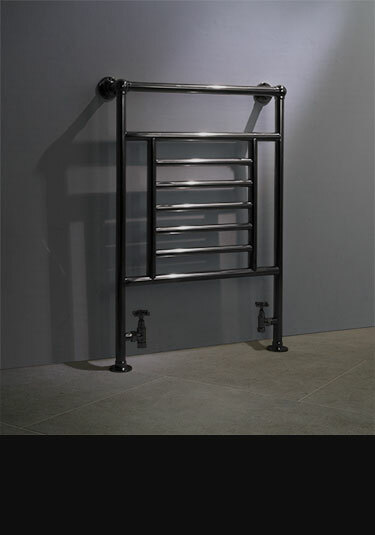 This black chrome heated towel rail includes a high output radiator. Suitable for a modern or traditional bathroom theme, this black and white radiator is made of high quality stainless steel with a durable black chrome finish. Designed and made in UK. 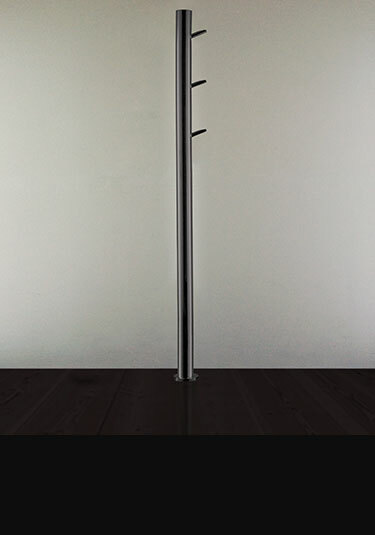 This stylish ball jointed towel rail is finished in sleek black chrome. Available in central heated, electric and dual fuel options. Made in Britain. Smart and stylish, this black chrome multi-rail towel radiator has a contemporary style. 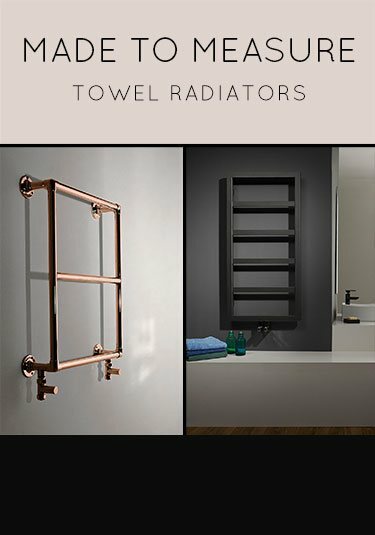 An Ideal addition for designer and luxury led bathrooms, this towel warmer is available in three sizes. 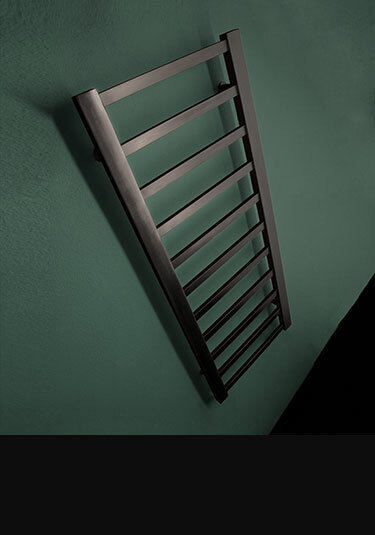 This stylish black chrome towel radiator has wide evenly spaced heated bars allowing easy hanging of towels. Made of superior brass which a polished chrome finish this towel rail has simple classical styling which is ideal for both contemporary and traditional bathroom design. 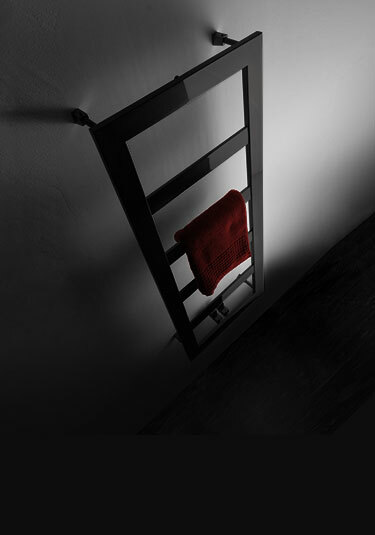 An exciting and unique bathroom towel rail design, the Black Chrome Hot Tree towel warmer is an exclusive design, made in Britain. 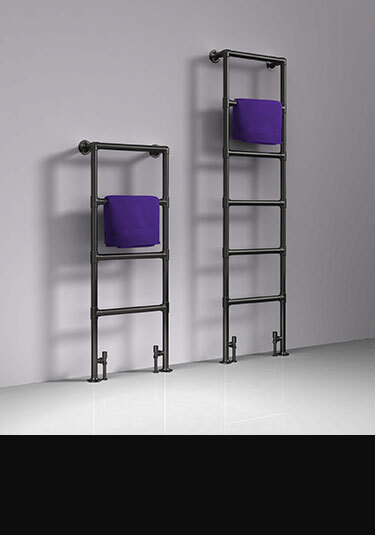 A stylish radiator ideal for hanging towels and bath robes. 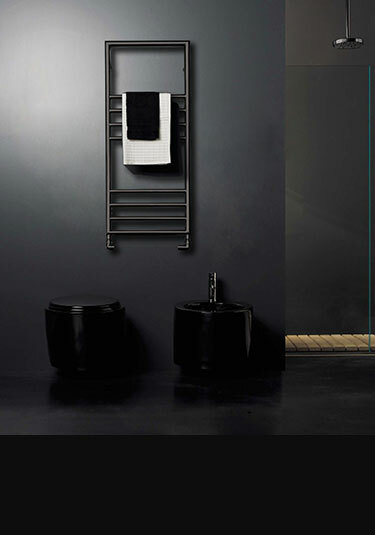 The Deco is an exclusive towel rail design in stylish black chrome finish. This towel warmer is available in two sizes, with options for central heating, dual fuel and electric only heating systems. 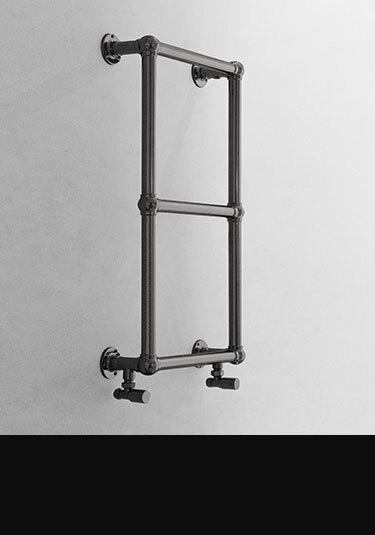 This designer wall mounted black chrome towel rail is a unique design feature for modern bathrooms. Designed and made in Britain to the highest quality standards. This tall black chrome heated towel rail is luxury British manufactured in quality stainless steel with black chrome finish. 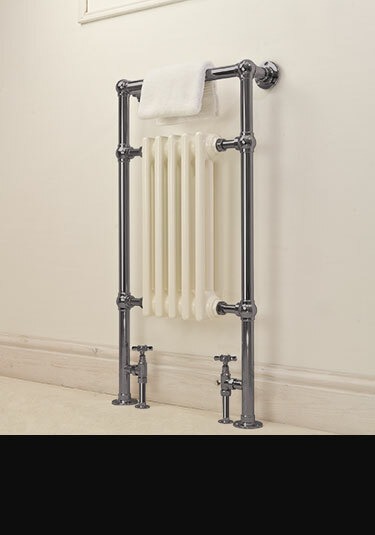 This traditional bathroom radiator can be supplied for central heating, dual fuel and electric systems. This black chrome bathroom radiator is based on a traditional Victorian design. 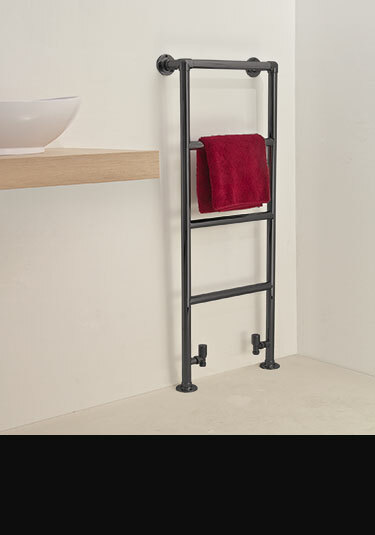 The modern black chrome finish adds a touch of industrial style to this luxury towel warmer. 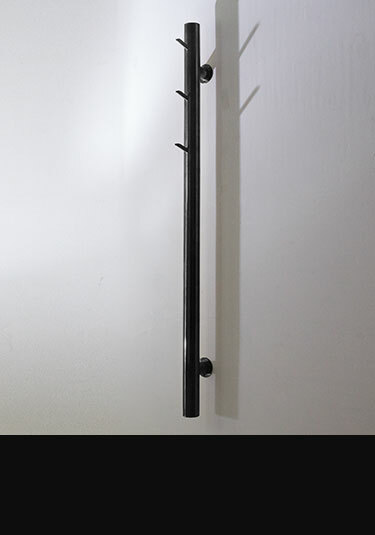 Black chrome ball jointed towel rail designed for floor mounting. This luxury black chrome radiator is inspired by the traditional ball jointed designs.